So cool - what a fantastic way to use and display some of your collection! Also sorry for lack of punctuation in above comment! OOh fab idea I have a pile of them looking pretty and was wondering what they could become when they grew up!! Ohh lovely Lea sending this beautiful t towel. 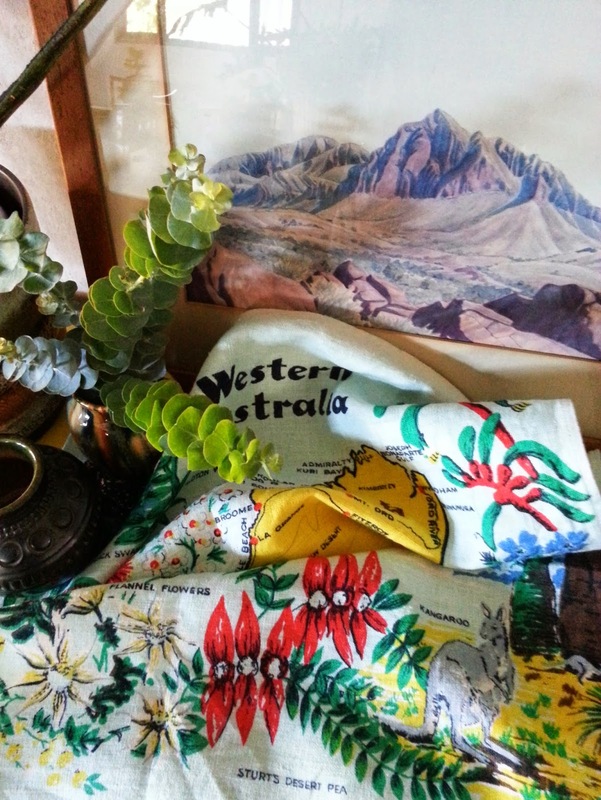 I've had a bit of a run with WA souvenir hankies lately, i'm thinking of stitching them into bunting. Seeing as your making beautiful dresses now you'd definitely be able to make the t towel quilt. Oooh! Love the quilt. You could do that Kylie. I love that you are so self aware Kylie. You'll always be the Queen of Tea towels to me! My husband is getting sniffy about my collection. I've been trying to get away from places to dogs. It limits the impulse buys. tote bags? cushion covers for kitchen chairs? 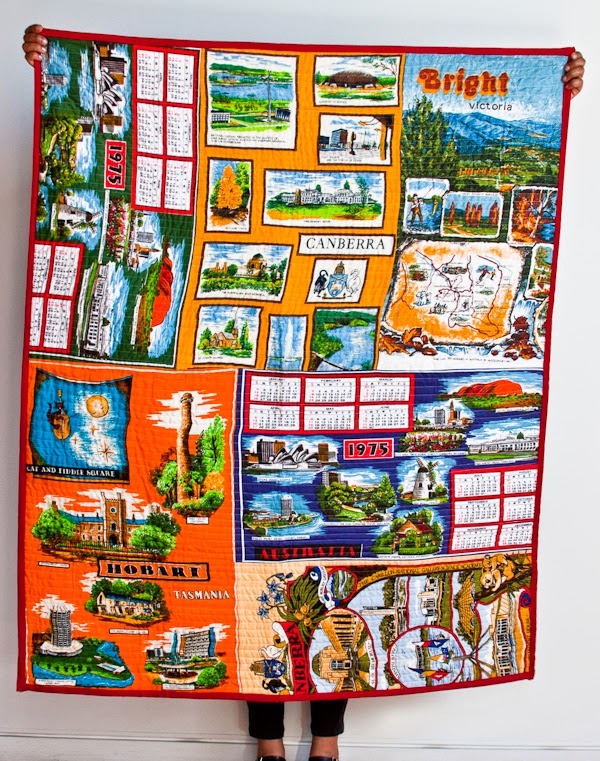 I have done something similar with some souvenir tea towels from NZ, I still have more to add. With visions of it becoming a tablecloth. Love the quilt! I used tea towels for the curtains in my sewing room. That quilt really is amazing! Tea towel tragic - ha ha! I love them all, bring back your tea towel posts, I say! 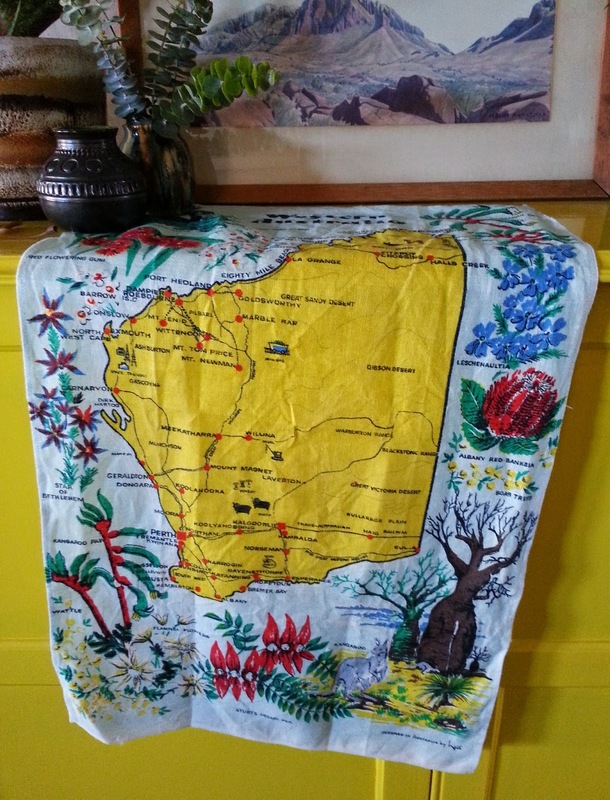 I do love this tea towel..the colours, the yellow and the boab trees are my favourite bit. It comes with no strings attached so you can sew some on and make an apron if you like, or a cushion or a quilt. snippety snip the world is your oyster. you could dry the dishes with it. i have been known to do this and have no regret whatsoever. 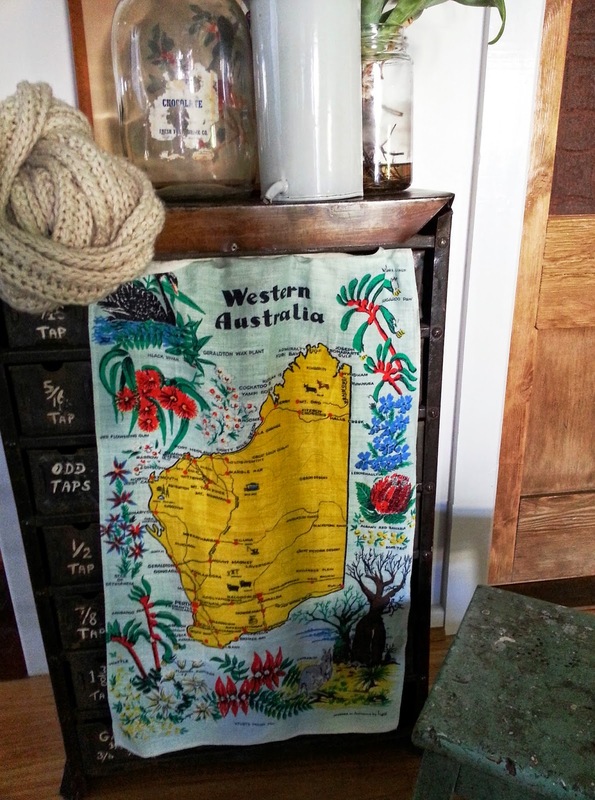 I have a bed covered (I'm having to get up five minutes earlier in the morning to "style" them now = collect from every corner of room where I've hurled them) in cushions made from tea-towels, mostly Adelaide in theme. I wish I could sew properly so I could make some myself, as all mine are bought. I don't think cushions can be that hard, but I worry that whatever I do would be irreversible if stuffed up. The quilt is a fabulous idea.